Our studio & workshop also specialises in bespoke fit out. 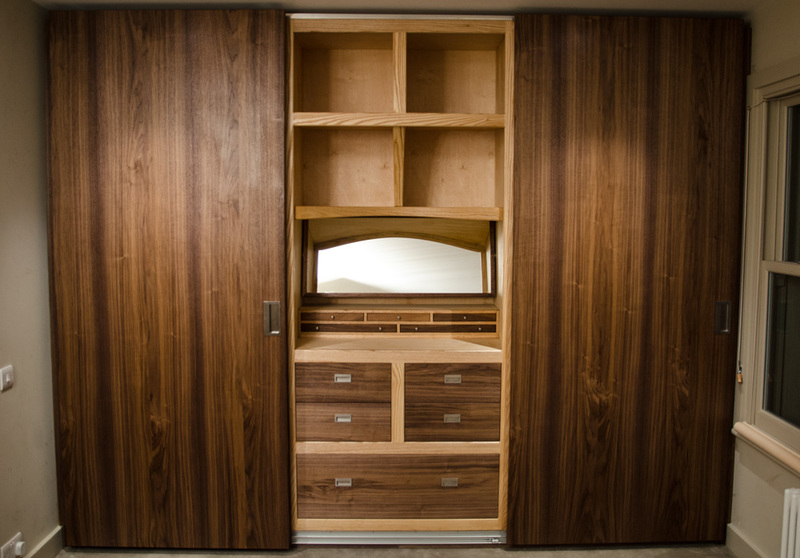 Here’s an example of a three door walnut and ash wardrobe we recently completed. 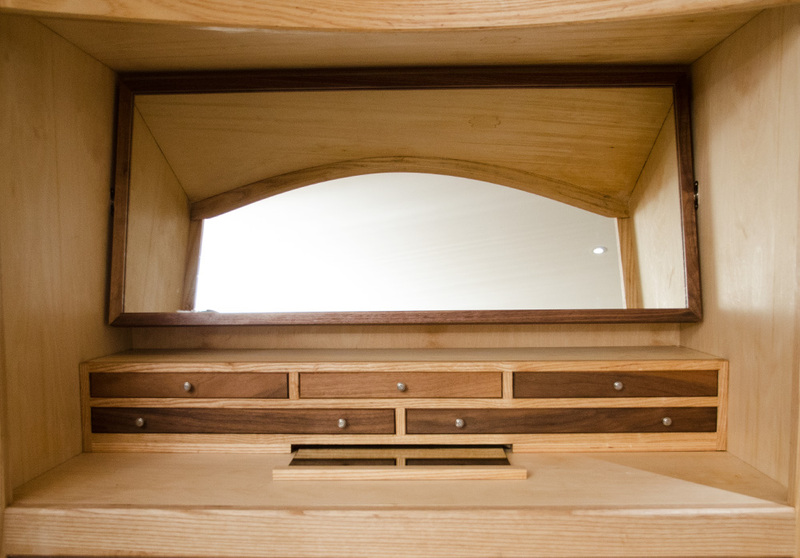 The piece offers lots of storage on either side of a central dressing area.